Blue Flag holder for 2008. 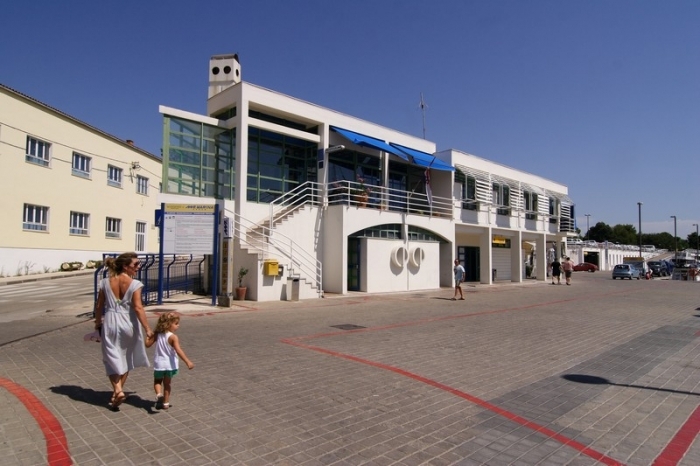 Marina Zadar is located in the central part of the Adriatic coast. Facing Zadar, there are groups of islands of Zadar and Kornati archipelago, which count more than 300 islands, islets and rocks. And so many boaters from all over the world choose Marina Zadar as an ideal starting point for nautical adventure. It is situated in the very centre of the three thousand years old town, which has many historical sights, archaeological findings and cultural contents, as well as modern shopping centres. Marina Zadar is a safe refuge, because it is naturally sheltered from wind and, besides its standard services (300 sea-berths, 200 onland places, cranes, automatic yard etc. ), it has a repair service where you can also get spare parts for your boat. Marina Zadar is also the holder of the Blue Flag, an exclusive eco-mark which indicates an ecologically pure, safe and well-maintained marina. Besides Marina Zadar, we have our annex, Marina Iž, which is located in the central part of the Zadar archipelago, only 14 NM from Marina Zadar. Along with sea resources, the surroundings of Zadar are rich with other contents and scenery, with many additional possibilities to spend active vacations - ideal tracks for walking and biking, horse-riding, mountain- climbing, free climbing, fresh water fishing, rafting, canoing, hunting etc.